Suitable from approx. 8 months. 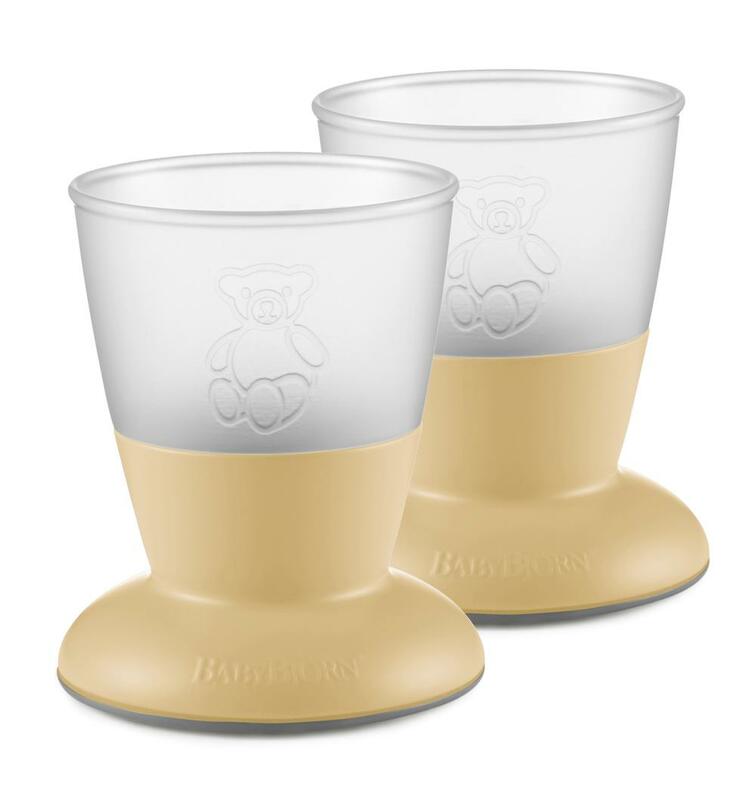 The baby cup is made of polypropylene (PP) and thermoplastic elastomers (TPE). All kitchen products from BABYBJRN comply with the relevant plastic safety requirements in both Europe and the USA. This means that the plastic we use undergoes continual rigorous testing for bisphenol A (BPA) and other harmful substances, and is certified food safe. This is important to us! The baby cups grip-friendly material makes it easy for your child to drink unaided. The shape of the cup means that even the messiest little hands can hold it firmly. The wide base and low centre of gravity make the cup hard to tip over. The contents of the cup can easily be seen through the frosted plastic. Suitable from approx. 8 months. The baby cup is designed according to the way a young child holds a cup and drinks. Grip-friendly materials make it comfortable to hold. The baby cup is made of a durable material thats safe for dishwashers, freezers and microwaves. Our baby cup contains BPA-free plastic and is made in Sweden. As youd expect, we only use plastic that is certified as safe for food. The baby cups frosted, see-through plastic means that you can easily see the contents. The baby cup is available in several delightful colours that both suit the modern home and match the rest of our kitchen range.